Bridle hide from J. & F. J. Baker in Devon, box calf from Perlinger, vegetable tanned calf leather from Tärnsjö in Sweden, shell cordovan from Horween. We source our materials from tanneries who put as much care in to their leather as we put in to our creations. We source the fittings we use as carefully as the leather. Belt buckles and loops for attaching handles are cast in solid brass at the last remaining commercial buckle foundry in the UK. Everything from the weight to the polished finish is of unmistakable quality - there is simply no comparison with the lightweight zinc alloy used on mass produced items. We can also arrange to have these brass fittings plated in palladium or rhodium for the ultimate finish. And for a really special item we can supply solid silver buckles. The beautiful zips are made by Riri in Switzerland. The metal teeth are polished and plated in either gold or palladium. The precision with which they are made make them a pleasure to use every time. 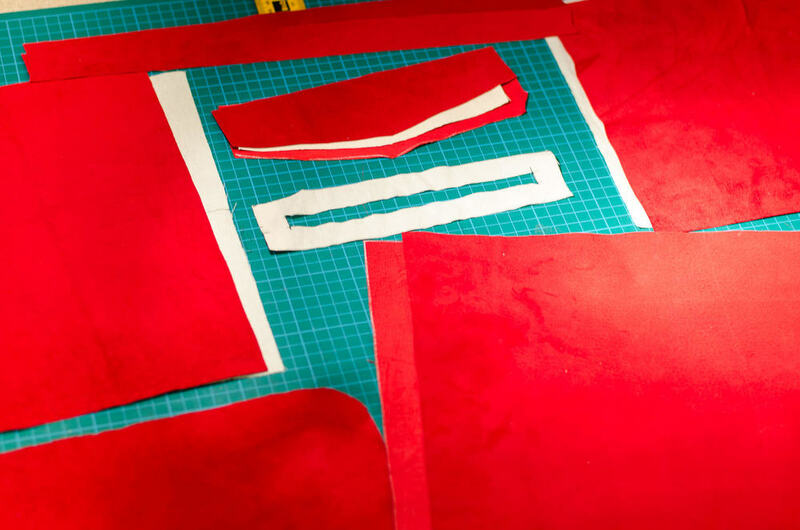 From initial pen and ink sketches to pattern design and cutting, everything is done by hand in our studio. We can work from your drawings or design from scratch using your description and requirements. Every piece of leather is carefully inspected for blemishes and imperfections before the pattern pieces are cut by hand with a traditional clicking knife. It is a time consuming process but ensures every component of the finished product is perfect. 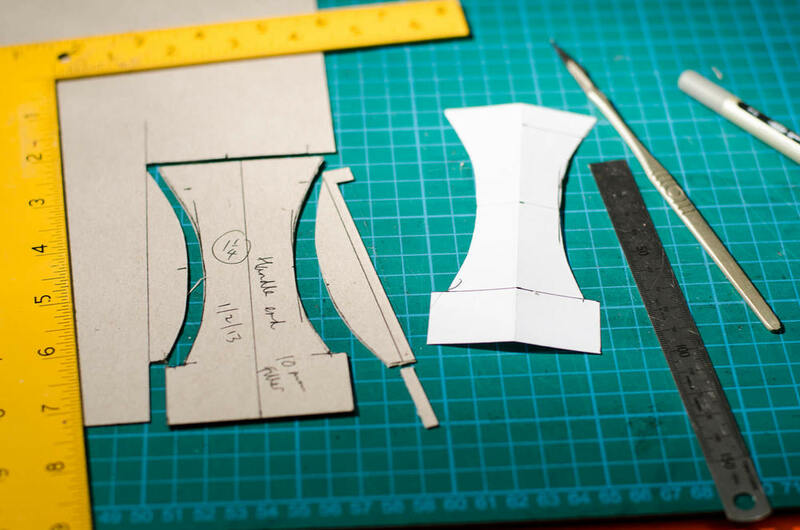 Each item is individually constructed and finished in our fully equipped workshop. We use hand stitching for all stress points. The traditional two needle saddlestich is unsurpassed for strength.